Potts Auction Company has been in the real estate and auction business for over 50 years at the same location in Rock Spring, Georgia. See our company information to learn more about us. 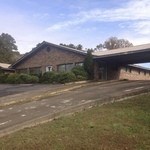 Home and Lot, 50 Baxter Drive, Lake Howard Road, Lafayette, GA.
FOR SALE: Doctor's Medical Building, Pharmacy, and 4 Acres, LaFayette, GA.
1110 North Main Street, Lafayette, GA. 4100 sq. ft. building formerly used for Doctor's office. Call 706-764-1224. 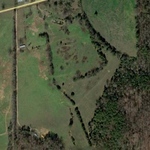 4 Tracts of approximately 5 Acres each for sale. Call 706-764-1224. 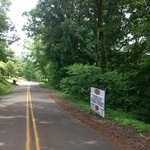 3 Acre Tract, Peavine Road, Rock Spring, GA.
Great 3 Acre building tract, lays well, mostly wooded. Call 706-764-1224. Prime Land 47 Acres, Hog Jowl Road, Walker County, Georgia. 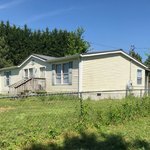 3 bedroom, 2 bath home with 8 Acres and a pond. 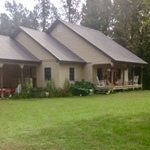 Great location on US 27 in Rock Spring, GA. $209,900. Call 706-764-1224. 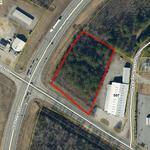 Private Listing: Lot located at GA 136 and US 27 Bypass at LaFayette, GA. $69,900. Call 706-764-1224.